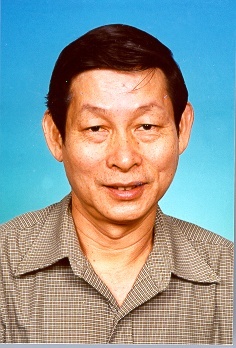 Dr LING Tok Wang is a professor of the Department of Computer Science, School of Computing at the National University of Singapore. He was the Head of IT Division, Deputy Head of the Department of Information Systems and Computer Science, and Vice Dean of the School of Computing of the University. Before joining the University as a lecturer in 1979, he was a scientific staff at Bell Northern Research, Ottawa, Canada. He received his Ph.D. and M.Math., both in Computer Science, from University of Waterloo (Canada) and B.Sc. (1st class Hons) in Mathematics from Nanyang University (Singapore). His research interests include Data Modeling, Entity-Relationship Approach, Object-Oriented Data Model, Normalization Theory, Logic and Database, Integrity Constraint Checking, Semi-Structured Data Model, XML Twig Pattern Query Processing, ORA-semantics based XML and Relational Database Keyword Query Processing. He has published more than 230 international journal/conference papers and chapters in books, all in database research areas. He also co-edited 13 conference and workshop proceedings, co-authored one book, and edited one book. 4th Int Conference on Database Systems for Advanced Applications, (DASFAA 1995) Singapore, April 11-14, 1995. 4th Int Conference on Deductive and Object-Oriented Databases, (DOOD 1995) Singapore, Dec 1995. 3rd International Conference On Web Information Systems Engineering (WISE 2002) Singapore, Dec 12-14, 2002. 30th International Conference on Conceptual Modeling (ER 2011) Brussels, Belgium, Oct.31 0 Nov 3, 2011. DOOD 1995 Post-Conference Workshops on Integration of Knowledge Discovery in Databases and Object-Oriented Databases, and Temporal Reasoning in Deductive and Object-Oriented Databases. National University of Singapore, 8 Dec 1995. The 8th International Parallel Computing Workshop, Singapore, 7-8 Sept 1998. NSF-NSTB sponsored workshop on Internet and Databases, in conjunction with ER 1998. The first International Conference on Human.Society@Internet HSI 2001 July 4-6, 2001, Seoul, Korea. The Second International Conference on Human.Society@Internet HSI 2003 June 18-20, 2003, Seoul, Korea. International Conference on Management of Data (SIGMOD 2007) June 11-14, 2007, Beijing, China. 36th International Conference on Very Large Data Base (VLDB 2010) August 2010, Singapore. Steering Committee Liaison of 32nd International Conference on Conceptual Modeling (ER 2013) 11-13 November 2013, Hong Kong. Honorary Chair of The 19th International Conference on Database Systems for Advanced Applications (DASFAA 2014) 21-24 April 2014, Bali, Indonesia. The second International Conference on Big Data and Smart Computing (BigComp 2015) 9-11 Feb 2015, Jeju Island, Korea. PhD Colloquium Co-chair of the 20th International Conference on Database Systems for Advanced Applications, Hanoi, Vietnam, 20 April 2015. Steering Committee Liaison of The third International Conference on Big Data and Smart Computing (BigComp 2016) January 18-20, 2016, Hong Kong, China. The 37th International Conference on Conceptual Modeling (ER 2018) October 22-25, 2018, Xi'an, China. He is a member of the steering committee of the International Conference on Conceptual Modeling (ER Conference) previously called International Conference on Entity Relationship Approach. He was the Vice Chair and Chair of the ER Conference for the periods from 1998 to 2000 and from 2000 to 2002, respectively. He was a member, Vice Chair, Chair, and then Advisor of the steering committee of the International Conference on Database Systems for Advanced Applications (DASFAA) from 1991 to 2007, and now he is an emeritus member. He was a steering committee member of the International Conference on Human.Society@Internet (HSI) from 2001 to 2005. He serves/served on the program committee of more than 160 international database conferences such as VLDB, CIKM, EDBT, ER, DASFAA, DOOD, DEXA, CoopIS, DOLAP, DaWaK, ADC, etc. This document, index.html, has been accessed 5019 times since 18-Jan-18 13:37:18 SGT. This is the 5th time it has been accessed today. A total of 2469 different hosts have accessed this document in the last 459 days; your host, ec2-184-73-14-222.compute-1.amazonaws.com, has accessed it 1 times.